More than 200,000 New Jersey seniors live on fixed incomes with limited economic resources. Through our Commodity Supplemental Food Program (CSFP), the FoodBank distributes monthly boxes of food–including shelf-stable milk and canned protein–and makes fresh produce available to seniors at risk of hunger. 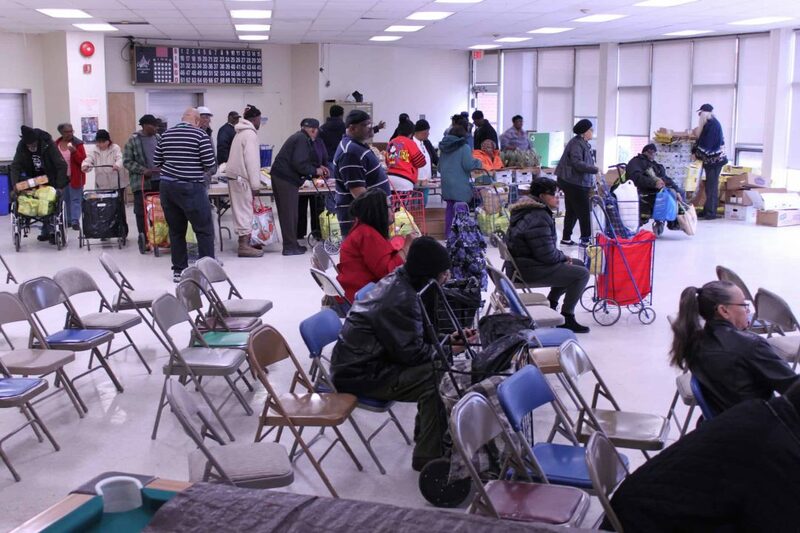 The Irvington Housing Authority is one of our local community partners that serves seniors in need on a monthly basis, including those with dietary limitations. James, 69, is a cancer survivor who comes to the Irvington Housing Authority CSFP distribution in his apartment building every month. Thankfully, he is in remission, but he still deals with major health ramifications that make eating right especially important. James worked hard all his life and even owned his own home before losing it during the 2008 recession. Having spent his money keeping his medical debt at bay, he now resides in subsidized senior housing on a fixed income that makes it difficult for him to afford both medicine and food–two essentials that keep him healthy. This is an unfortunate reality for many seniors in New Jersey and around the country. In the United States, more than 5 million seniors age 60 and older struggle with hunger. Of the people served by the Community FoodBank of New Jersey, 73% must often choose between spending money on medicine or food. The Irvington Housing Authority also encourages volunteerism among its residents, as those who don’t receive CSFP boxes volunteer to help distribute them. Click here to learn more about how we help seniors in need.